We believe our guests should have a great time when they stay with us. We have indoor, climate-controlled suites and mini-suites. 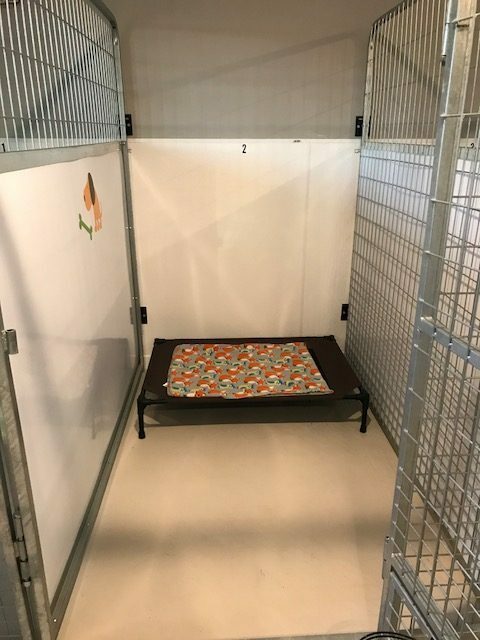 Each suite comes with a cot and blanket, or dog bed. Each guest will enjoy hours of play time each day in our indoor and outdoor play areas. 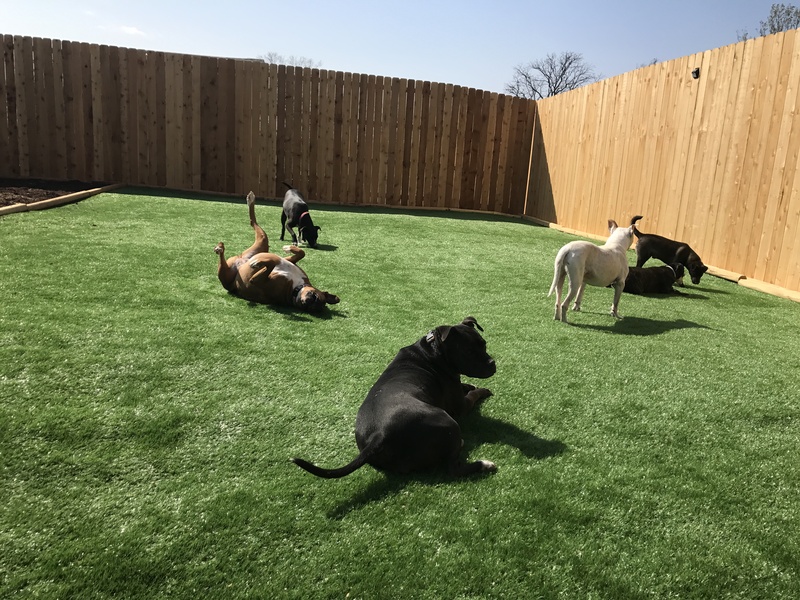 Day care is a wonderful way for your dog to get lots of exercise, attention from staff, and to make new friends while you are at work, doctors' appointments or having work done on your home. We have discounted rates for guests who come 3-5 days/week. We believe our guests should have the comforts of home and the attention they deserve. We offer indoor and outdoor play areas, for them to play in. We believe our guests should get lots of playtime and individual attention, while they are here. We love and accept all breeds! Our guests must be current on all vaccinations: Rabies, Bordetella and Distemper. We strongly recommend that your dog be vaccinated against bordetella, at least 1 week prior to boarding, so that the vaccination has time to take effect before their arrival. 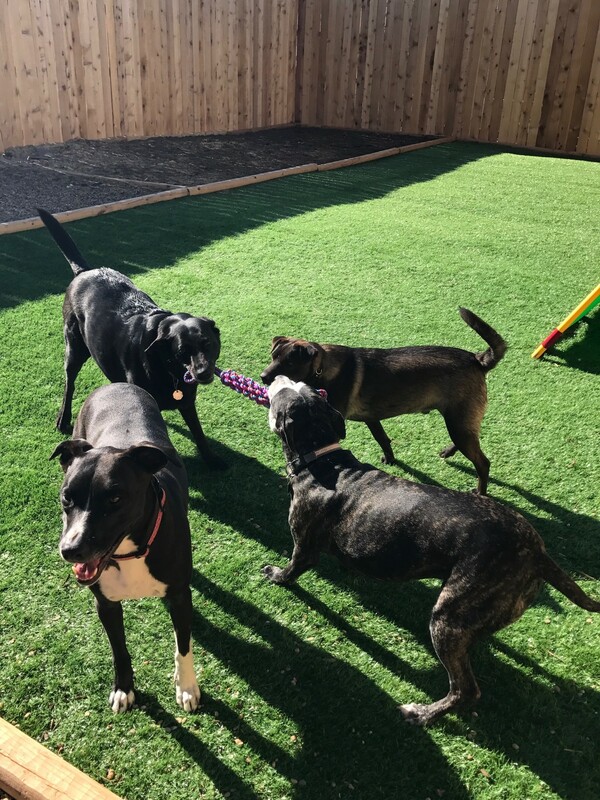 To be eligible for group play, dogs will need to be socialized, as well as spayed or neutered. We can administer pet medications, if needed. Please give us a call at (214) 463-5820 if you need more information or would like to schedule a reservation.